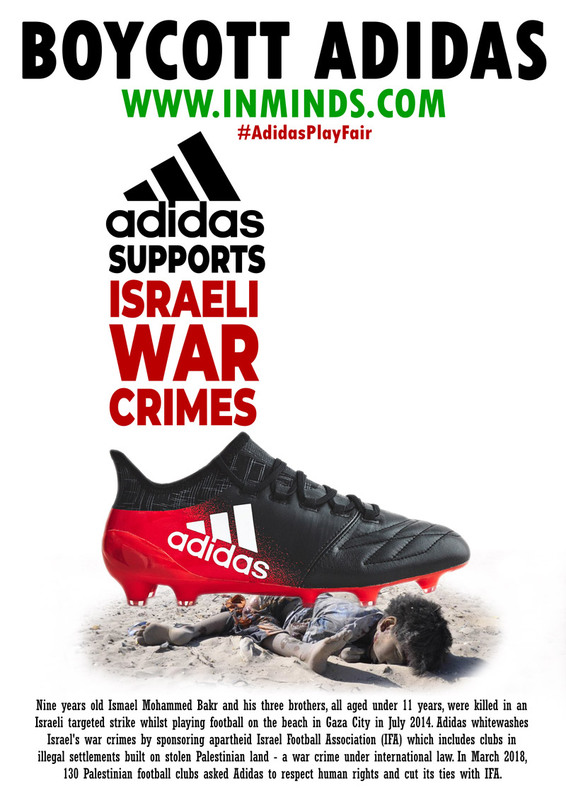 On Friday 30th March 2018, Inminds human rights groups will protest outside Adidas's flagship store on Oxford Street to demand Adidas stop its sponsorship of apartheid Israel Football Association (IFA) which includes football clubs based in illegal settlements built on stolen Palestinian land. The protest is in solidarity with over 130 Palestinian football clubs and sports associations which last week called on the world’s second largest sportswear manufacturer Adidas to respect human rights and cut ties with IFA. Inminds chair Abbas Ali said "March 30th is Land Day, a commemoration of the ongoing theft of Palestinian land by zionist colonialists. That theft is made possible by companies like Adidas which lend their brand to cover up and whitewash Israel's war crimes, which the illegal settlements constitute under international law. Illegal settlements built on stolen Palestinian land are normalised and legitimised by Adidas through its sponsorship. We are here to tell Adidas that their complicity in Israeli war crimes will cost their brand dearly. And we are here to ask Londoners to help Adidas make the right decision by boycotting their products until they respect Palestinian human rights." The Ministry of Youth and Sports in Gaza on Friday called for a boycott of Adidas products due to the company's sponsorship of an international marathon in Jerusalem. Swedish Football Association President Lars-Ake Lagrell: "Like all human beings, we deplore violence and are shocked at what we saw.. 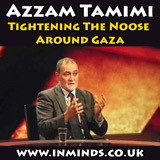 It's not pleasant to play in Israel at this juncture".